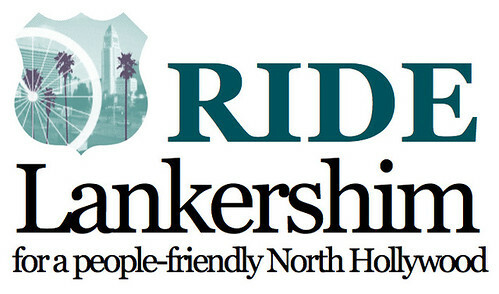 Ride Lankershim is a smaller campaign under the larger umbrella of LACBC’s newly launched Neighborhood Bike Ambassador Program. 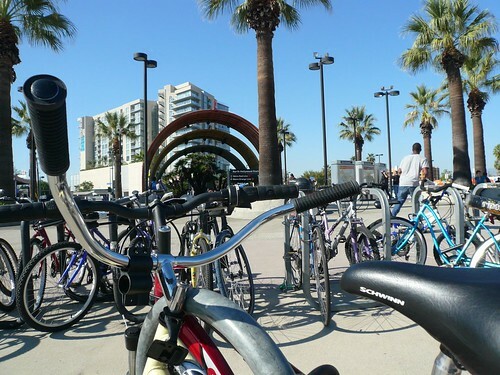 Through the ambassador program, members and volunteers can take an active role advocating for bicycle improvements in their neighborhood. Bike Ambassadors work to build support at the local level with Neighborhood Councils, local businesses, schools, churches, and other community groups. This can mean anything from garnering support for bike lane projects to advocating for policies that address bicycling, or organizing community bikes rides and educational events. Follow this link for more information about the Bike Ambassador program or to sign up for a committee in your neighborhood. Thanks LADOT for helping to get the word out on this ride. Just want to correct one thing: Dec. 8 is this coming SATURDAY. Looking forward to it! I think you meant Saturday, right? Even though Lankershim Blvd is one of the two most important streets for me to travel on by bike from where i live, i won’t sign a petition in support of bike lanes on Lankershim Blvd without seeing what is proposed in the engineering redesign first. Lane markings alone is not adequate to make any significant improvements for cycling safety, nor would this lower the stress enough for most adults to consider riding on it. If LADOT expects to take either a travel lane or parking lane away from drivers and then in return put in something that few people would be willing to cycle on, then what would be the point of that? That sounds like a waste of time, effort and money. What makes Lankershim Blvd unusual compared to most arterial streets in Los Angeles is that it is diagonal to other streets that run north/south in the area. This creates a very hazardous situation for cyclists proceeding northbound on Lankershim Blvd where it meets Cahuenga Blvd. Cyclists have to negotiate moving over two lanes with motorized traffic that is moving several times the speed of a bicycle. There is also is also a very hazardous intersection where Lankershim Blvd meets Camarillo St and Vineland Ave. There are three right-turn lanes at the approach to this intersection. Having a bike lane disappear and then moved to the left of right-turn only lanes at the intersection would not be an improvement. I’ve ridden on Lankershim Blvd at this intersection hundreds of times and the most comfortable way i have found to proceed is to ride through on a red light when Vineland Ave is under a yellow signal and there is no moving traffic. This intersection needs no less than a dedicated bicycle signal to improve the safety for cycling. The event was extremely informative , and Paul Krekorian our new councilman for the district spoke about the opportunity we have in the future bike routes for No Ho . As a member of the Bicycle Advisory Board, many of of my colleagues rode in to show their support and Paul Krekorian showed his full support of all our aspirations and hopes. And the ride was fun with many important and interested people riding and showing their support and learning about the process that will be needed to complete the lanes and routes that are in the planning stages.